We’re less than a week from the US release of White Knight Chronicles International Edition on February 2, we have a lot of new information to share with you. Staring off, the first of several White Knight Chronicles Dynamic Themes will be available from the PlayStation Store next Thursday, February 4. Also, you will be able to unlock a PlayStation Home costume and figurine by playing the game. But wait, there’s more! 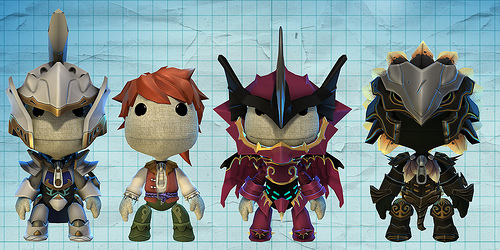 Coming this February 25, LittleBigPlanet fans will be able to pick up their very own White Knight Chronicles Costume & Sticker Pack! 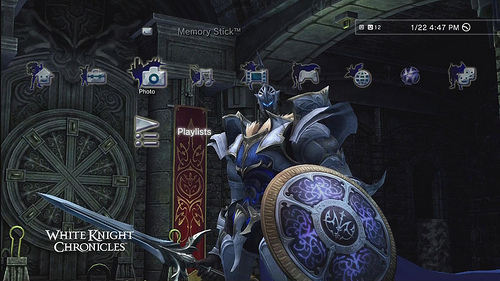 Now you too, will be able to Play, Create and Share using character skins for White Knight Chronicles! 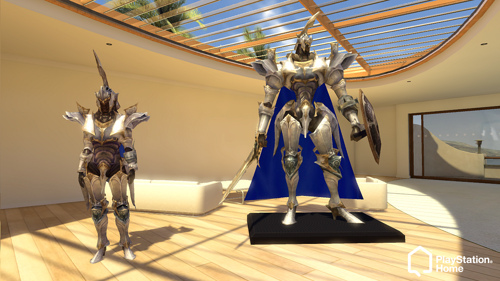 You’ll be able to choose from Leonard, the White Knight, the Black Knight and the Dragon Knight.